A retaining wall is a strong wall built to retain soil mass in addition to improving the aesthetics of a place. An attractive retaining wall with the strength to prevent soil from sliding down or eroding is always a wise choice. Online, you can find several different processes and DIY videos on installing a retaining wall of your own. The installation requires some skills, and if you are confident about performing the job flawlessly, you can follow the DIY steps listed below. Otherwise, you can trust the expertise of a professional retaining wall contractor in OKC. A retaining wall is not a showpiece, that can just be placed at random. It often requires the advice of a retaining wall contractor in OKC, a detailed plan and proper execution to be installed correctly. Here are four points that you should keep in mind before installing a retaining wall in your yard. 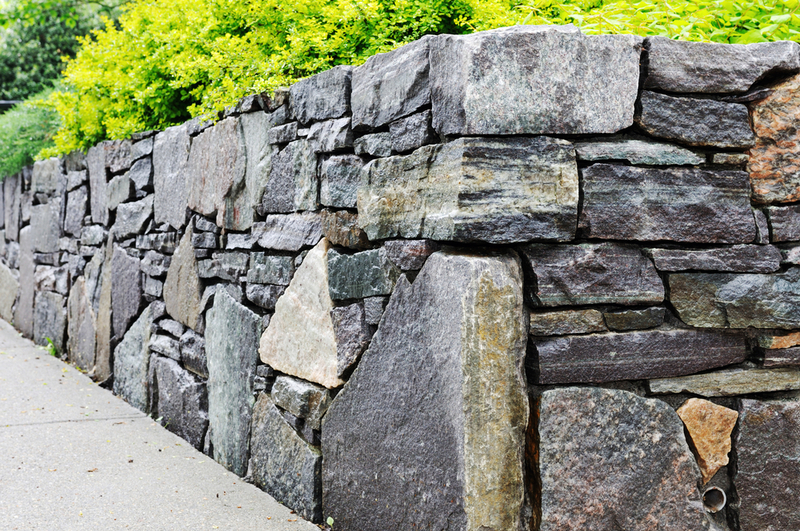 Knowing your budget should be the first step when installing a retaining wall. The material, the style and the professional help all need to be chosen according to affordability. Investing more does not always mean you will get a better wall; therefore, decide wisely. The second step involves the choice of the material. You can choose among concrete, solid blocks, semi-solid blocks, timber and rubble. Remember to consider the affordability of each material in addition to factors like durability and aesthetics. It is your choice as to what the purpose of the wall will be. If you want to install the wall to enhance the beauty of your garden, you or a professional retaining wall contractor in OKC can do it that way. Or, if you want it to be sturdy, the materials and design should be chosen accordingly. You can also choose a combination of both attractive and sturdy. The design depends on the size of the wall too. The size of the wall determines the quantity of material needed and is determined by the style and intended purpose. The installation process will vary slightly depending on the size. A professional retaining wall contractor in OKC can suggest the best option for you. Planning the construction: The size of the wall, the design and the purpose, which are set by you, are thoroughly observed by the professional, and thus they start preparing for the installation based on the given requirements. Preparing the material: Most people prefer concrete for the material of the wall, but the ideal way to design a retaining wall is to build it with stone. A chisel and small sled are the tools used to cut and shape the stones. Placing the chisel and striking it hard on a scored line will make it break through the stone. Arranging the stones: Laying the stones according to the intended size of the wall is the next step. After laying two courses of stones, dirt is used to backfill the trench. For a sturdy wall, the layers are interlocked with half stones. Fabric is extended up the hill to prevent the soil from touching the wall. After the installation: Once the installation is done, the soil is restored and leveled with topsoil. Extra topsoil can be used to create a terrace garden along the wall. If you prefer to hire a retaining wall contractor in OKC, call ADC Hardscape to get the details of their service and a quote to fit your budget.